Along the northern reaches of Georgia lies the crystal-clear 3,290-acre lake known as Lake Blue Ridge. This incredibly picturesque region sits in the Chattahoochee National Forest and boasts 65 miles of shoreline, some of which is developed. The area around Lake Blue Ridge is also fast becoming one of the most popular places to build a new home thanks to affordable and plentiful land and some of the best custom home builders in the industry. There's nothing like owning a custom home near Lake Blue Ridge, GA. Simply stepping out your front door presents you with a remarkable view that can't be beat. You get to enjoy the peaceful serenity of Georgia's heavenly natural sights each and every day and with the comfortable year-round climate, there are plenty of opportunities to enjoy your favorite outdoor activities. 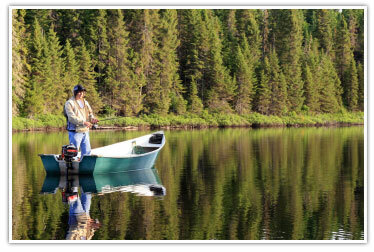 The lake is well stocked with bass, catfish, perch, walleye and other species of fish, so if you're into fishing, then this is veritable paradise that you'll find more than accommodating. Plus, since it's so close to the namesake Blue Ridge Mountains, you'll have more trails and paths to explore than you can shake a stick at. This is a wonderfully welcoming area for families of all sizes and there are plenty of local attractions to keep everyone busy and satisfied. Some of the local attractions include the Blue Ridge Scenic Railway, the Burra Burra Mine and Museum in nearby Ducktown, Tennessee, Mercier Orchards, the Ocoee Whitewater Center and Lillypad Village. Blue Ridge is also home to one of the last three remaining drive-in theaters in the state. Blue Ridge also happens to be named one of America's top art communities as well, and the Blue Ridge Mountains Arts Association's Arts Center is a great example of the area's artistic prominence. The area also enjoys an annual event calendar that offers fun for the family all year round with the Blue Ridge Mountains Adventure Race, the Spring and Fall Arts in the Park Festivals, the annual Blue Ridge Writers Conference, the Ride the Rails Festival and the Labor Day barbecue just to name a few. Living in the Lake Blue Ridge area provides those who live here with a remarkable quality of life that sets the standard for southern hospitality. Friendly and welcoming, safe and naturally pristine, this area has all of the amenities one needs to feel good about making their choice to have a custom home built in the Lake Blue Ridge area. For those wishing to take full advantage of all that the Blue Ridge area has to offer year round, Southland Custom Homes specializes in building new houses in Fannin County. Southland Custom Homes is one of the most highly-respected custom home builders in Lake Blue Ridge, GA, and because they're on-your-land builders, that means you choose the house plans and they build the home of your dreams in the location of your choice! With over 100 floorplan options to choose from and an array of top-of-the-line interior appointments, Southland Custom Homes is among the premier home builders in Lake Blue Ridge, GA. In addition to providing a huge selection of plan options, Southland Custom Homes will even work with new homebuyers to alter a specific floorplan so that it is exactly what the buyer wants. If you are looking for a custom home builder in Lake Blue Ridge, GA, then Southland Custom Homes is sure to meet and exceed your expectations. Southland Custom Homes, one of the premier new home builders, has model showrooms located in Macon (3956 Bloomfield Village Drive, Macon, GA 31206), Dawsonville (837 GA 400 S, Dawsonville, GA 30534), and Marietta (265 N. Cobb PKWY, Marietta, GA 30062). Stop by today to see all that Southland has to offer!